On that note, if you have an opinion (and who doesn't?) 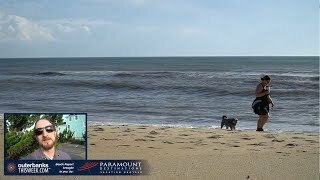 on the Draft Environmental Impact Statement being conducted by the National Park Service in regards to the whole beach driving vs. bird and turtle preserving issue in Cape Hatteras National Seashore, you need to get your comments in. Public hearings are being held all next week: April 26 through 29 from Ocracoke to Buxton to KDH to Raleigh, NC, to Hampton, VA (see here).